NOTE: Perform Chinatown is happening on the same night. We will be starting promptly at 7pm to accommodate a performance in our space at 8pm. Stick around after the reading to see Sheree Rose perform. 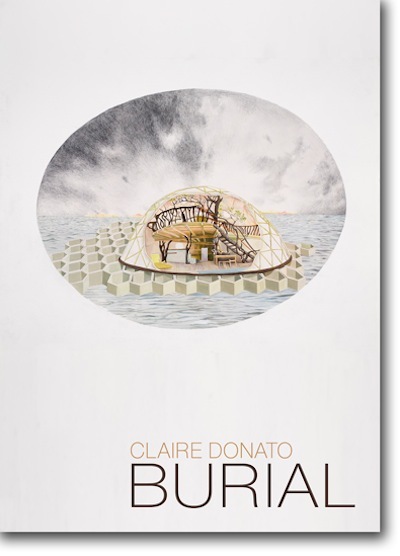 Claire Donato is the author of the novel Burial, from Tarpaulin Sky Press. She grew up in Pittsburgh, PA, holds an MFA in Literary Arts from Brown University, and lives in Brooklyn, NY. Her fiction, poetry, and lyric essays have appeared or are forthcoming in the Boston Review, Aufgabe, Encyclopedia, Evening Will Come, Octopus, and 1913: a journal of forms. She is the author of a poetry chapbook, Someone Else’s Body (Cannibal Books), and was recently a finalist for the National Poetry Series. For more information, visit somanytumbleweeds.com. Amina Cain is the author of Creature (Dorothy, a publishing project, fall 2013) and I Go To Some Hollow (Les Figues Press, 2009). Stories have appeared in places such as Denver Quarterly and the Encyclopedia Project and are forthcoming in BOMB and n+1. You can read more about her at aminacain.com. Jeff T. Johnson’s poetry is forthcoming or has recently appeared in coconut, smoking glue gun, and Newark Review 3.0, and he holds a digital residency at The Organism for Poetic Research. Critical writing has appeared in The Aviary, Poetry Project Newsletter, Sink Review, The Rumpus, and elsewhere. With Claire Donato, he collaborates on SPECIAL AMERICA. He lives in Brooklyn, is Editor in Chief at LIT, and edits Dewclaw. He teaches at The New School and St. John's University. For more information, visit jefftjohnson.com. The Poetic Research Bureau's "Burnt Norton Project" features readings from lost canons, "de-selected" and "un-collected" authors, and those who've otherwise fallen out of the peculiar taxonomies of literary certainty. Feel free to submit your own readings and recoveries to our box-fort mailbox at: directors@poeticresearch.com.